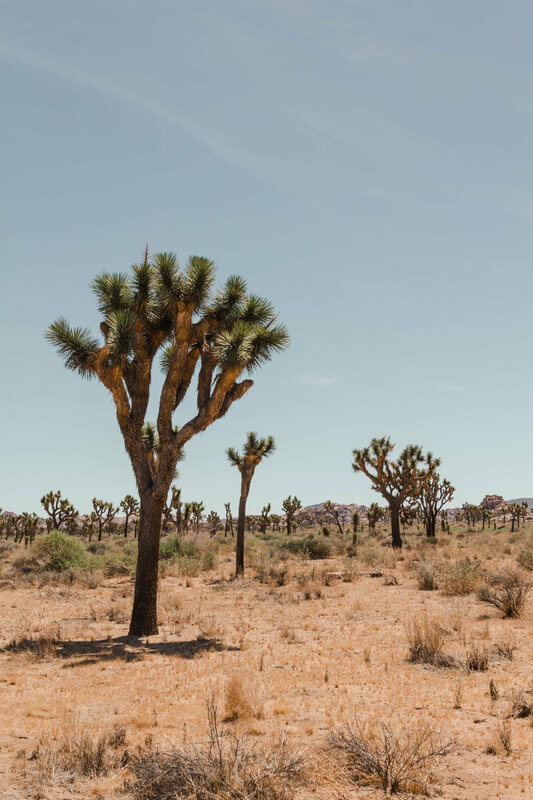 Joshua Tree has long been a haven for those seeking to recalibrate, find their muse, cure writer’s block, or for Angelenos like myself in search of a quick getaway to disconnect from city life. With an area larger than Rhode Island, encompassing the Mojave and Sonoran deserts, the landscapes are as diverse as the visitors who come to tune in and drop out - vast, incomprehensible landscapes littered with colossal rocks and alien-like trees sprouting spiky bushels of green leaves. From the thrill-seeking rock climber to the casual hiker, the art collector and the meditator, there are activities to suit each personality. There are several options for camping within the park, reservations are available up to six months in advance and they fill up quickly, those can be made at www.recreation.gov or by calling 877-444-6777. There are also walk-up reservations available if you are a gambler. Cottonwood Campground *a note: the benefit of this campground is that you’ll have the best chance of finding a campsite with walk-up availability because it is less crowded, however, you will be on the edge of the park and at least 30 minutes drive from the main attractions. There are infinite options for those who aren’t camping-inclined. One of my favorite motels is the America’s Best Value. Totally campy, totally classic Joshua Tree. Be sure to ask for the Cave Room. Airbnbs are bountiful, from the funky (Bonita Domes) to the ultra-stylish (insta-famous Joshua Tree House), you’re sure to find the perfect perch. Another great option is Cabin Cabin Cabin in Joshua Tree. The Arch Rock loop is less of a “hike” and more of a half-mile stroll, but nonetheless shouldn’t be skipped. Park at the White Tank campground, the trail is easily accessed and well-marked with signs explaining the history and geology behind the various formations. My favorite way to experience Joshua Tree: short stints in the unforgiving sun, followed by a lot of air conditioning in the car. Pit stops should include Skull Rock, the Cholla Garden and Keys View. If inner peace is what you seek, be sure to book a sound bath at The Integratron. The observatory-like structure was built to be a perfectly acoustic environment and the south bath provides a full-body immersion in a relaxing sound sphere. 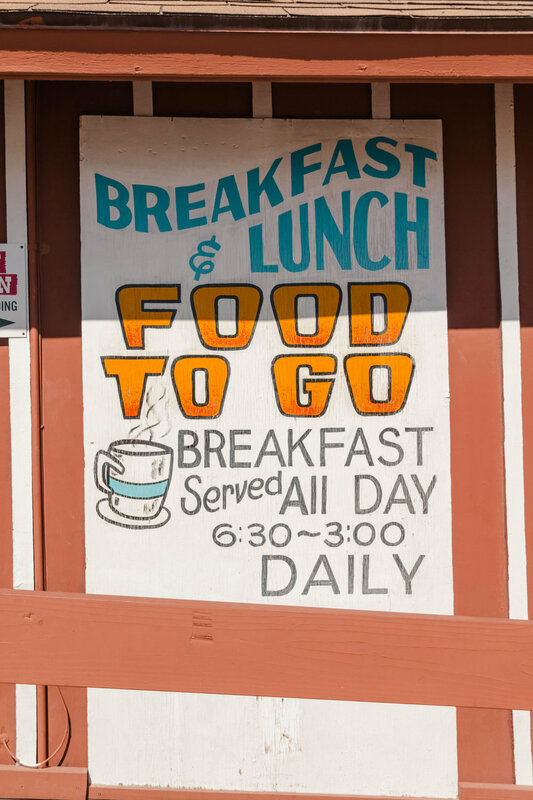 Hefty portions of the expected diner fare: eggs, home fries, a breakfast burrito the size of your forearm, existing alongside the unexpected Cambodian specialties - all designed to fuel a long day of exploration. Locally roasted beans, committed to crafting the perfect cup of coffee. Of the wonders the Seven Wonders shopping mall promises, one stands out. Tucked in the back of a grocery store you’ll find delicious asada burritos, carnitas tacos, tortas and quesadillas, served with the best salsa in town. 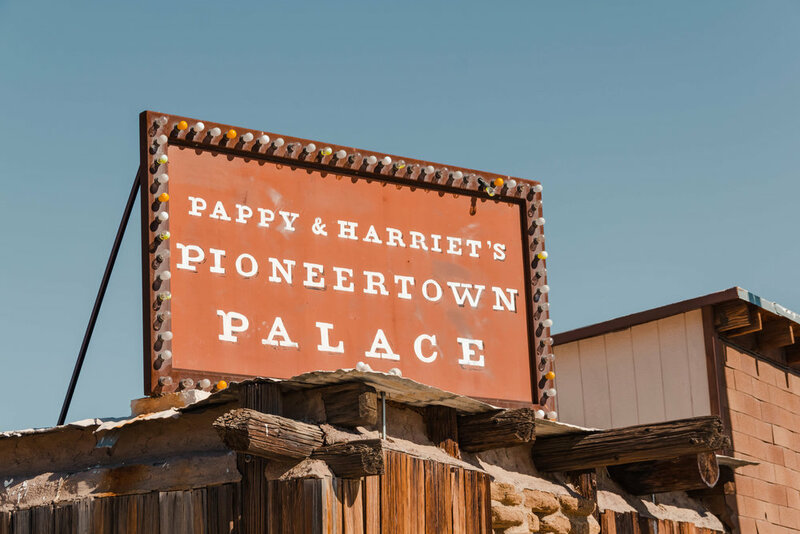 How to describe the magical establishment that is Pappy and Harriet’s? It’s a saloon. It’s a musical venue. 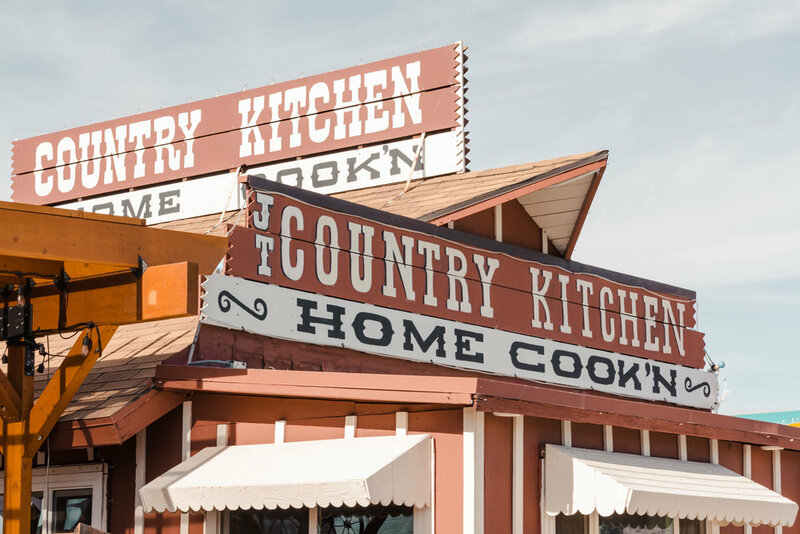 It’s a barbecue restaurant, a damn good one at that. Host to bikers, bachelorettes, people old and young, all grooving out in a standing-only room that has been host to acts like Paul McCartney, Artic Monkeys, Vampire Weekend, and Jenny Lewis. Ally Hansen is on a mission to meander, eat, and drink her way through the globe. You can follow along with her adventures on Instagram at @allygrammin.